What kid doesn’t love a good puzzle or playing with marbles? I know Peyton loves puzzles and she also loves marbles. Now if you combine those two passions you have endless possibilities. Q-Ba-Maze 2.0 does this! Q-Ba-Maze is a maze that you create yourself with different pieces, similar to a puzzle. And then you use the marbles to see if your maze works. How cool is that? Peyton is obsessed with marbles. Typically she just rolls them all over our house and I find them when I’m walking around putting away laundry. Let me tell ya, stepping on a marble is about as fun as stepping on a lego. Peyton also has an obsession with puzzles. We have puzzle boxes all over our home. Q-Ba-Maze 2.0 lets Peyton take marbles and puzzle making and put them together. It did take Peyton a little bit to understand exactly what she needed to do. But she is 6 years old so I expected to have to show her how each piece worked together. But now she builds on her own without any help from me. 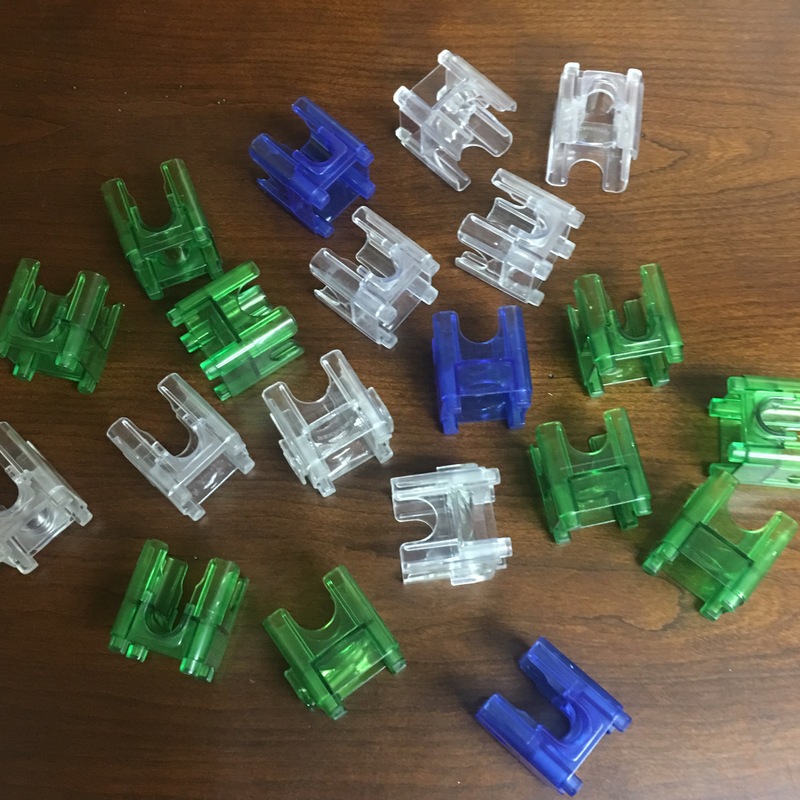 The Q-Ba-Maze 2.0 comes with 36 cubes and 14 marbles. There are 9 cubes where the marble exits the bottom, 18 cubes with 1 side exit and 9 cubes with 2 exits. You can make a lot of combinations with these. It even comes with 14 marbles! But if you lose those, no worries any standard marble will work. Peyton has enjoyed playing with the Q-Ba-Maze 2.0. I have enjoyed letting her play with. It promotes science and artistic thought process. What a great way to have a little STEAM learning at home. If you are a home schooling parent, Q-Ba-Maze could be used in some lessons! I send my daughter to public school but I still try to give her a little extra science, math and art whenever I can. Q-Ba-Maze 2.0 would make a perfect gift for any child in your life. 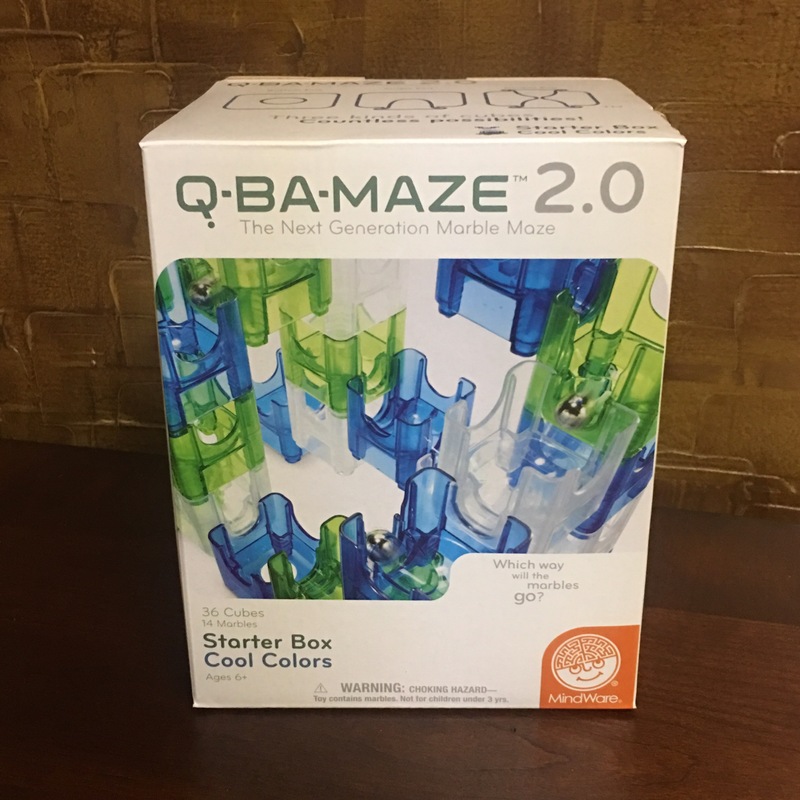 You can find Q-BaMaze 2.0 at Mindware as well as many other puzzles and gifts ideas.